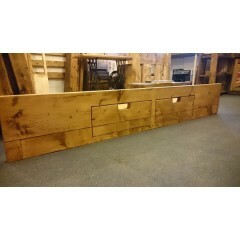 complimented with bedside cabinets, chest of drawers, dressing tables and wardrobes from our furniture collection. 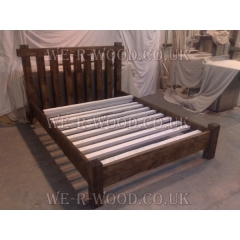 Our beds are made to every single persons desire, from something as simple as a single plank bed right the way to a super kingsize 4x4 post bed. 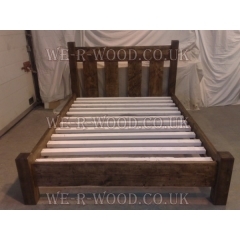 The 4 Post Bed Settee can be made with the posts set at different hights and looks wonderful when ..
Our 4x4 Poster Beds are made to suit your imagination and style, with a feature that is sure to stan..
4 x 6 Beam Poster Bed will always set your bedroom of in style. 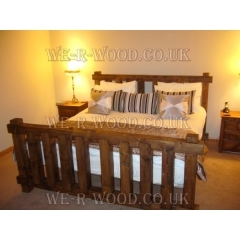 All our beds are made to a standa.. 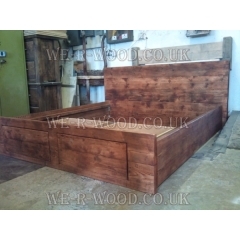 This 5x5 fantastic futon chunky low plank bed is stylish it influences with unique material t..
Add 2 draws to each side for a very small cost Our hand crafted, hand finished wooden bespoke 2 D..
Add a one single drawer to each side of the bed. 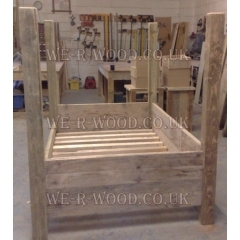 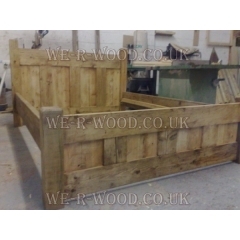 Our single drawer system is hand crafted, hand f..
Our Cannon Ball Plank Beds, can be made to any size or height, whether a Single or Super ..
Our Chunky Four Poster Bed is made to suit your imagination and style... A feature th.. 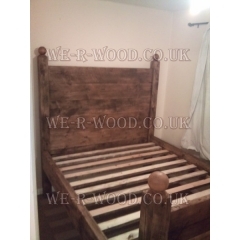 The Country Panel Bed would suit any bedroom and come with matching furniture Our hand crafted,..
Our hand crafted, hand finished wooden bespoke Country Plank Bed can be finished in wax, lime wax, v..
A fabulous chunky, rustic Bed that looks unique and different every time. 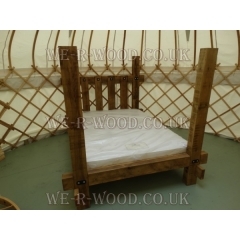 The quality of these ha.. 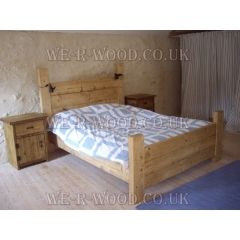 The Farmhouse 7 Chunky Slat Bed adds that certain something to every bedroom. 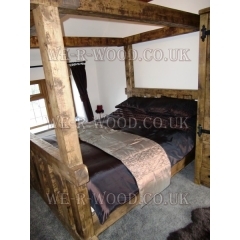 This bed can be made i.. 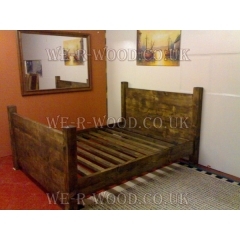 The Low Foot Board Bed can be made in any style or sizes. 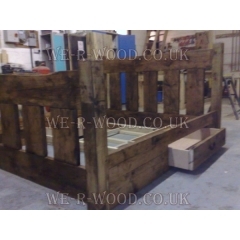 You will find this bed better if you do..
Our bespoke Farmhouse Plank Beds, can be made to any size or height, whether a Single or ..